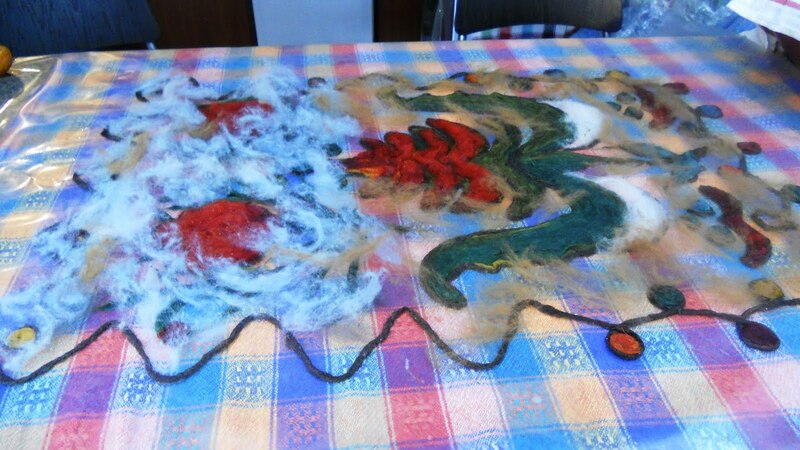 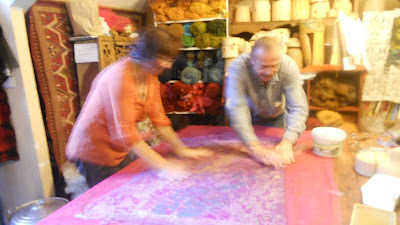 Rug workshop with the ladies from Holland. 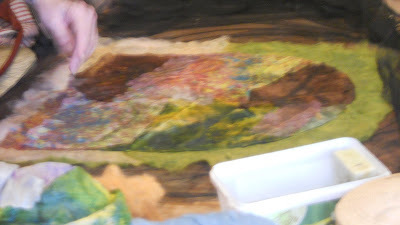 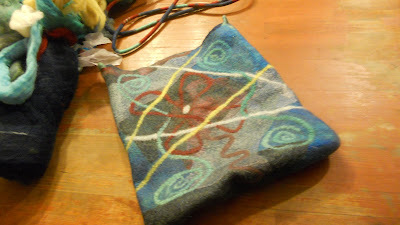 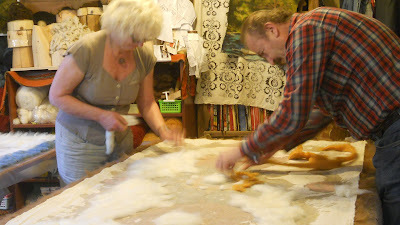 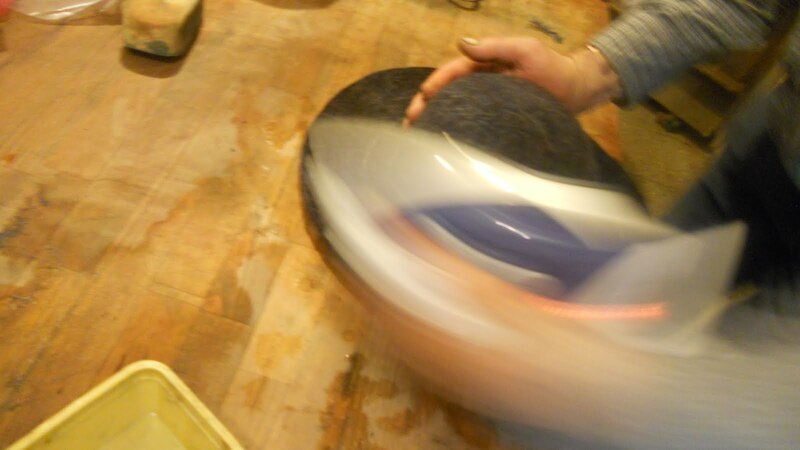 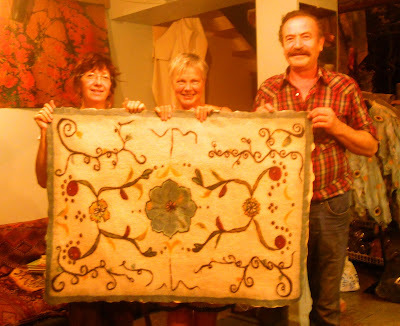 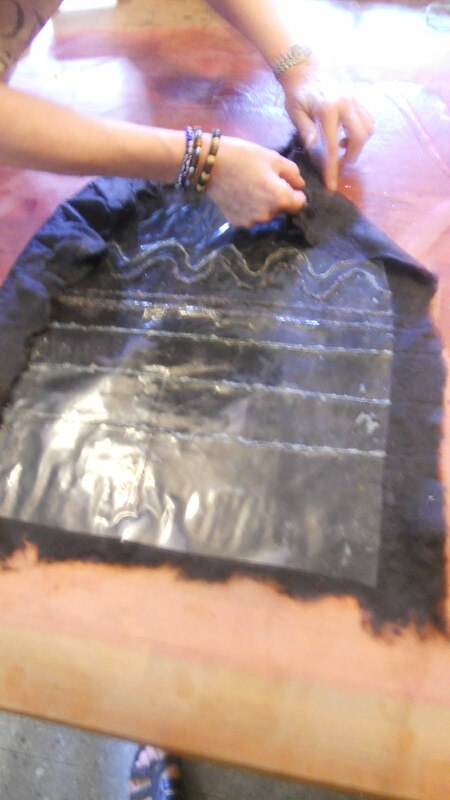 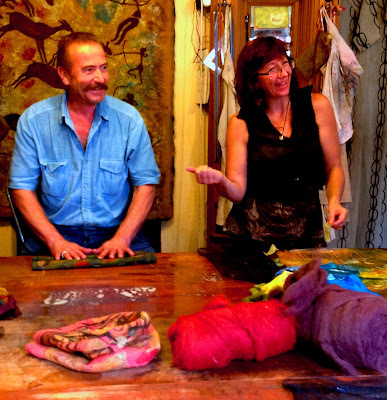 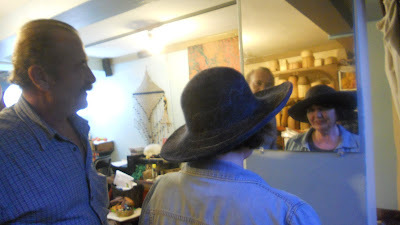 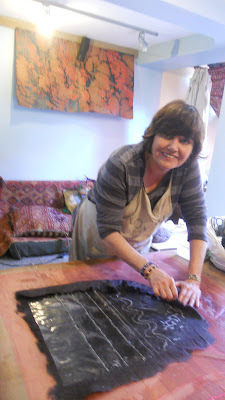 Leisbeth and Ann-Margot spent 3 days working on their Osman felt rugs here at Ikonium Studio. The rugs were initially kicked usng traditional Turkish method out in our neighborhood park with the Aya Sofia as a backdrop. 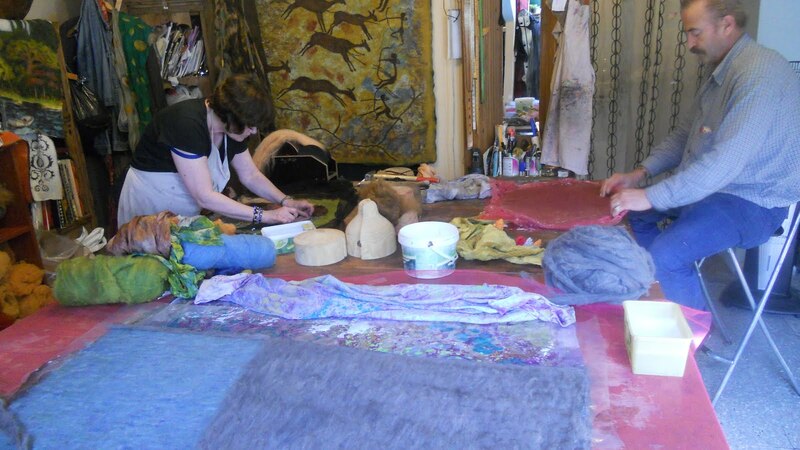 The girls wee alot of fun, laughng is a good way to work through the strenuous part of making the felt. Delicious lunches made by Mehmet were a treat as always and the girls later confessed that everything else they ate while here paled in comparison! 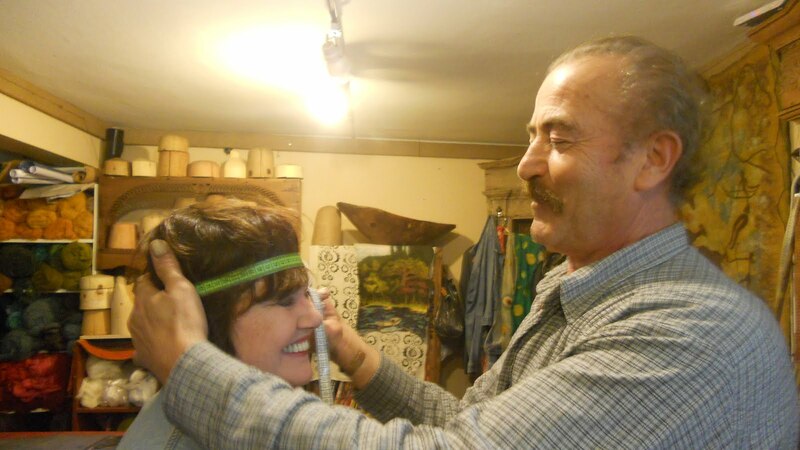 !Afiyet olsun! 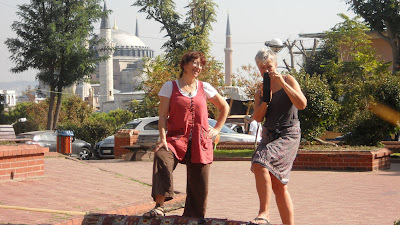 September has been a busy month in Istanbul with so many interesting people stopping by for a visit or shopping. 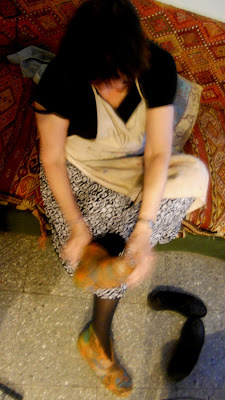 Many designers have stopped by as it ..IS fashion week in Istanbul. 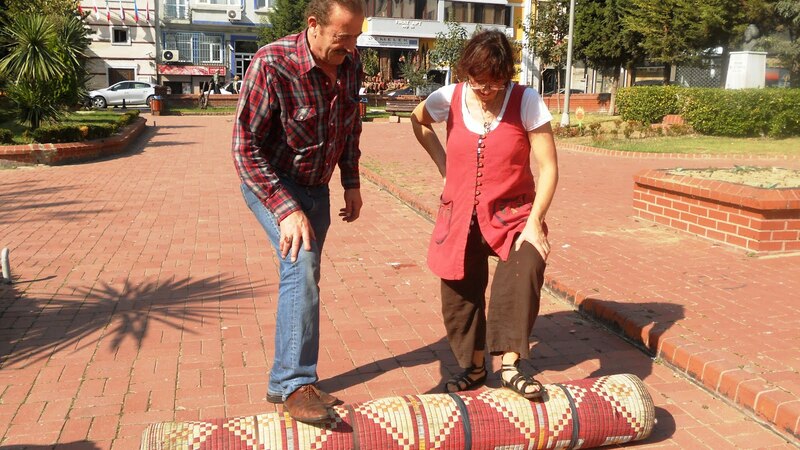 We just realized that we are a designated stop on a tour from Marmara University durrng their textile symposium. 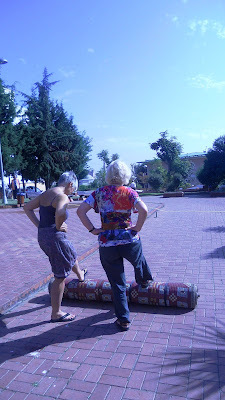 http://sempozyum.marmara.edu.tr/tekstilsanatitasarimi2012/ We are looking forward t more interesting visitors. 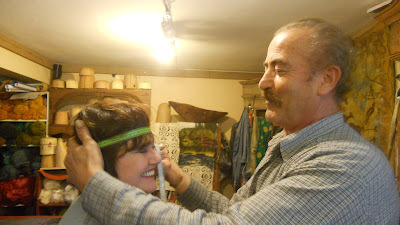 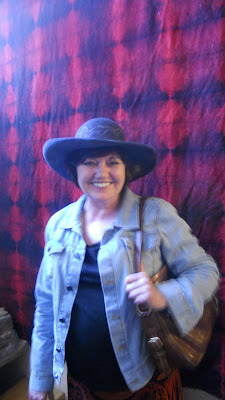 This week we had Cathy (alias Judy, which I kept mistakingly calling her for two days! 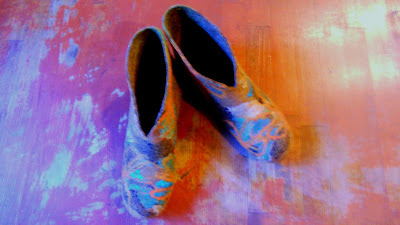 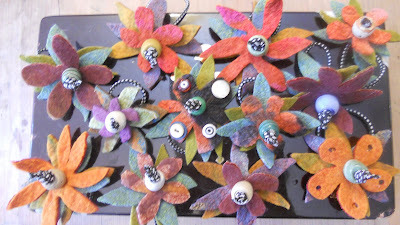 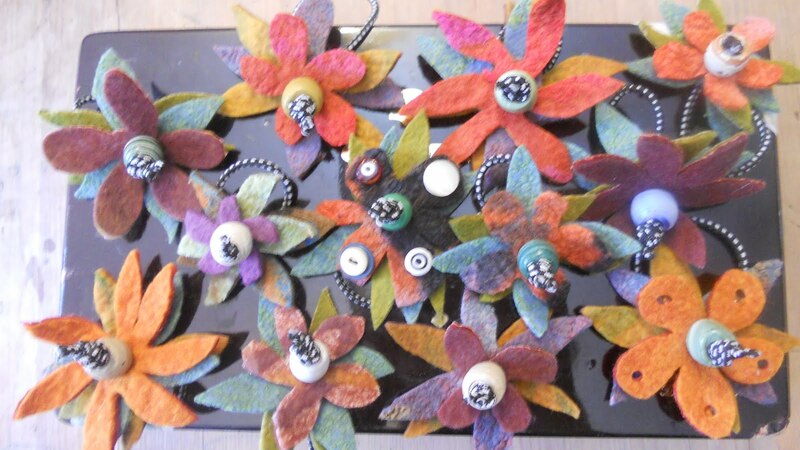 )here to the studio for a week long felt workshop series. 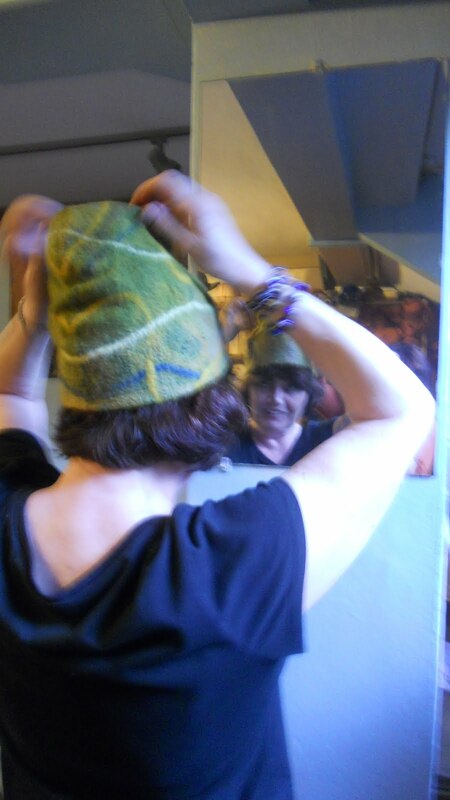 Cathy made some great pieces includng hats , slippers and bag.